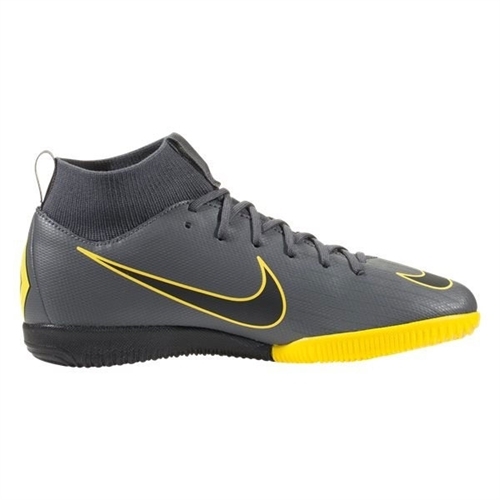 Synthetic upper with Dynamic Fit collar wraps the foot for a close fit. 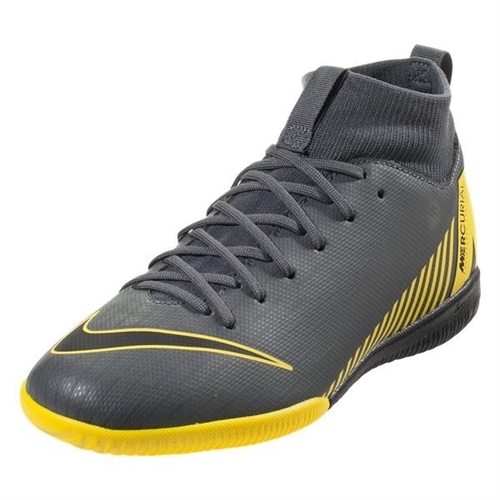 Textured upper provides touch at high speeds. 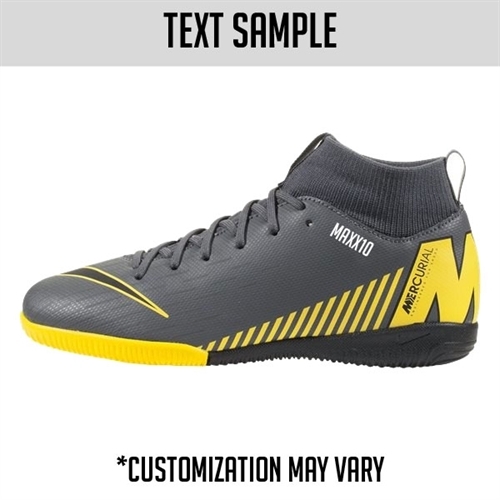 Heel lining with nubuck-like finish grips foot and helps hold boot in place. 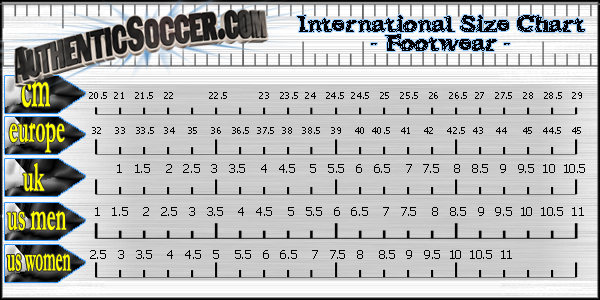 Non-marking outsole designed for traction on indoor/court surfaces. Our Nike Junior SuperflyX Academy VI DF Indoor Soccer Shoe wraps your foot for a second-skin-like fit straight out of the box. 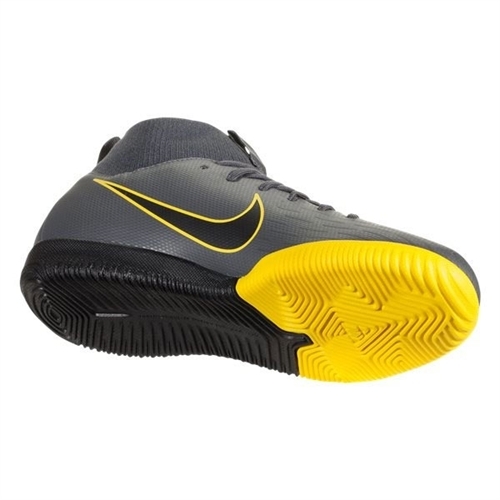 The rubber outsole provides responsive traction on indoor/court surfaces.